wow , janice!! i love what you made with these paper dolls !! the colors are stunning and perfectly matched! like a bit “seventies”…it’s really a good idea to use this way! ! Congratulations to Claire and the other participants! Congrats Claire! 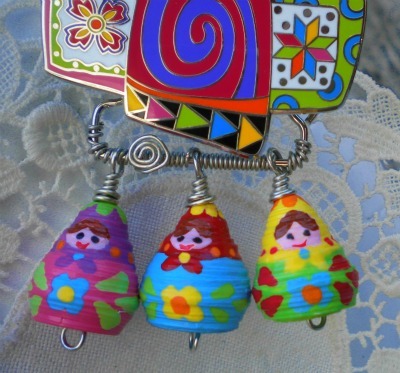 Janice this pin turned out so colorful and such a great use for the paper bead dolls that Manou made for you! I love it! 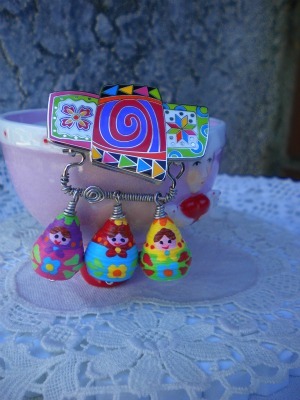 I love this colourful pin !! very summery !